The C-series was designated for Canadian tobacco issues, mostly issued before World War I. 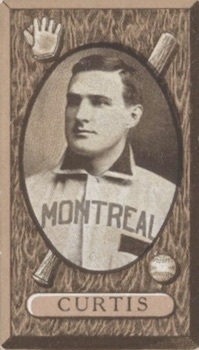 Most of the sets in that series included featured hockey and lacrosse players as well as general subjects, but 1912 C46 Imperial Tobacco Baseball was the only major set devoted to baseball players. 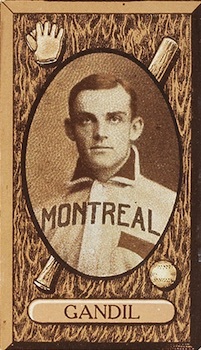 The players included in the set were from the International League, which had teams in both the United States and Canada. While the International League is still in existence today as a Triple-A league, 1912 was its first season under that name after the old Eastern League collapsed. 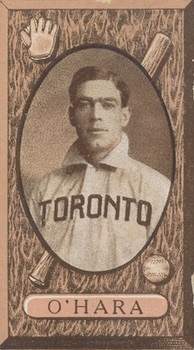 While 1912 C46 Imperial Tobacco Baseball is a Canadian-issued set, only two of the league's eight teams were located north of the border. 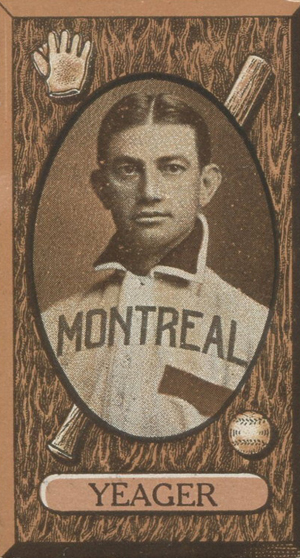 Northern teams in the league were based in Montreal and Toronto. 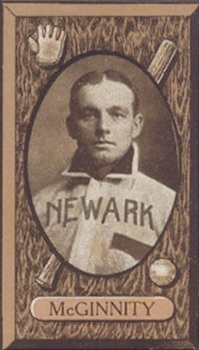 Buffalo, Newark, Baltimore, Jersey City, Providence and Rochester were the American squads. The 1912 C46 Imperial Tobacco Baseball cards are a little more elaborately designed than other better-known tobacco sets of the era. Resembling a plaque, the black-and-white player picture is displayed in an oval shape framed by a wooden slab complete with graphic edges. The photo has a baseball bat designed to look as if it runs diagonally beneath the photo. A fielder's glove is at the top right and a baseball to the lower right. Below the photo is an oval-shaped nameplate with the player's last name. Backs are very basic compared to other tobacco issues. The player's last name appears at the top, followed by a short write-up of his accomplishments. At the very bottom of the card are the words "Baseball Stars" and the card number. One of the biggest differences from almost every other tobacco card set is the lack of any advertising for the company that issued them. This lack of identity not only gives newer collectors trouble trying to figure out what they are but also has caused some collectors to ask whether they were actually issued by Imperial Tobacco. The complete set has 90 cards. 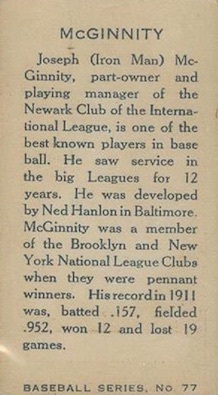 Two of the players ("Iron Joe" McGinnity and Joe Kelley) are Hall of Famers. Kelley has his name misspelled as "Kelly" and is sometimes confused with Jack Kelley, another player in the set. Chick Gandil would eventually become involved in the 1919 Black Sox scandal and is widely collected because of that. 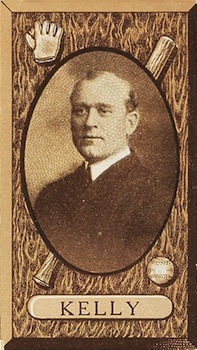 Other notables include Luther "Dummy" Taylor and Jack Dunn, who was instrumental in bringing Babe Ruth to Baltimore as a rookie a couple years later. William O'Hara and Ray Demmitt are remembered for their difficult T206 cards. 1912 IMPERIAL TOBACCO C46 No.62 FRED JACKLITSCH Rochester !! 1912 IMPERIAL TOBACCO C46 No.48 HEINE BATCH Rochester !! 90 cards. Shop for base cards on eBay. Hi, Chris … I have 4 Imperial Tobacco cards, 3 – Golf … and 1 – Boxing … Can you give me a good source to obtain an approximate value?